When I eat my lunch at Tidbinbilla, there is always a friendly magpie that comes to join me hoping for a crumb. He walks around strutting his chest, owning the picnic area as his territory. This gave me inspiration for a superhero that knows his territory. Majority of people know magpies as swooping birds protecting their nesting area within the breeding season, and cyclists have often felt their strong beaks hitting their cycling helmets. A superhero should be able to be fearless like this towards his enemies. 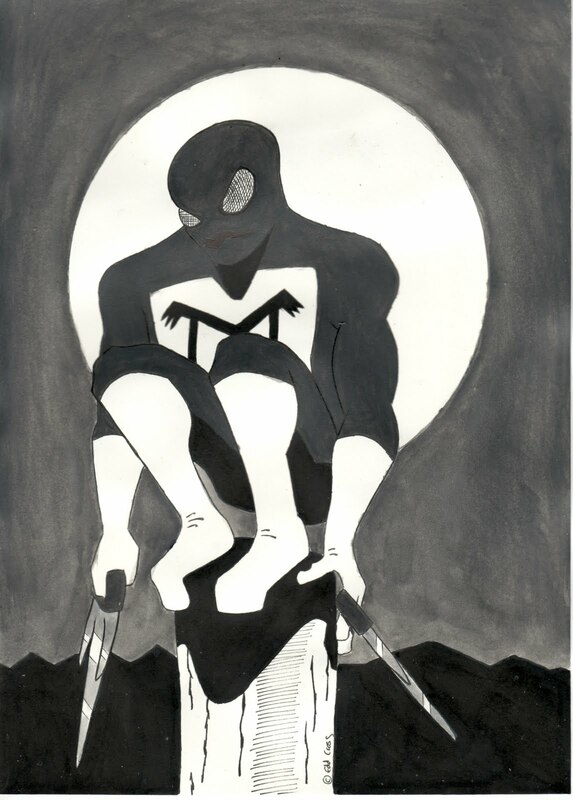 So here he is – The Australian Magpie as a superhero. He has an ‘M’ on his chest and three-pronged weapons in each hand to resemble the magpie’s claws. Then maybe he could even be a part of The ACT Squad. Enjoy..